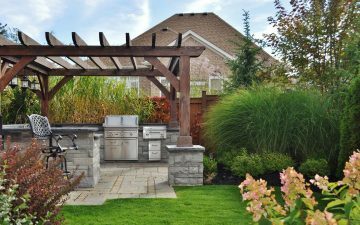 Back yard landscaping for family leisure activities, relaxation and gardening. 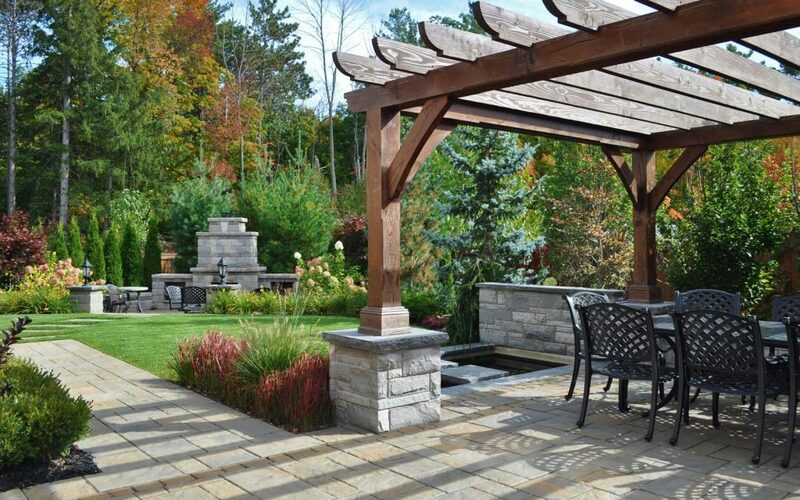 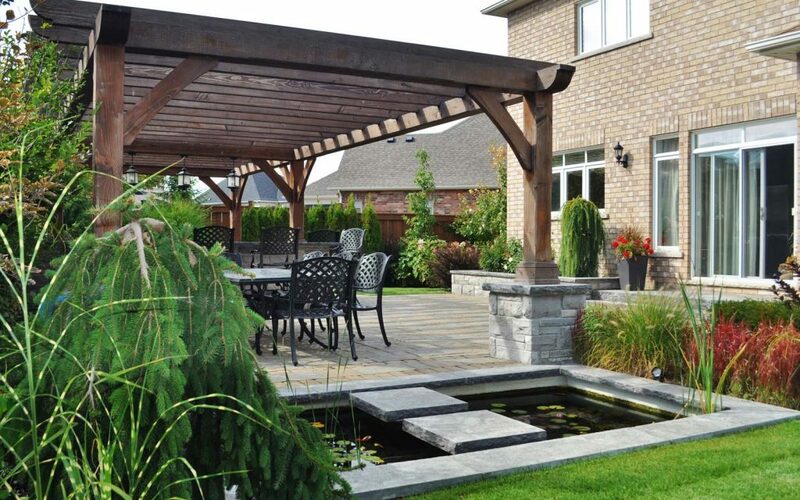 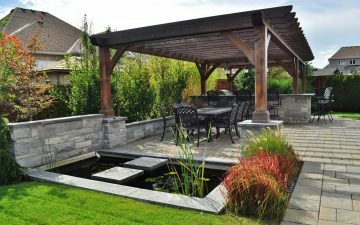 This created rear yard outdoor space includes fireplace, pond, waterfall and dining area. 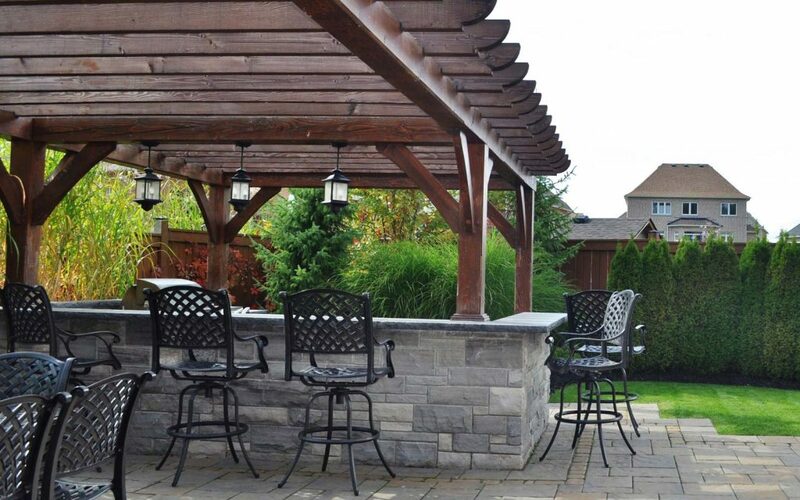 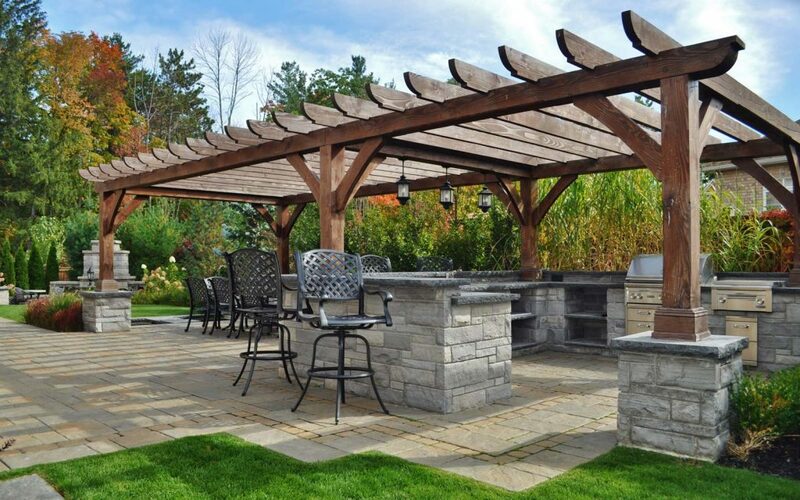 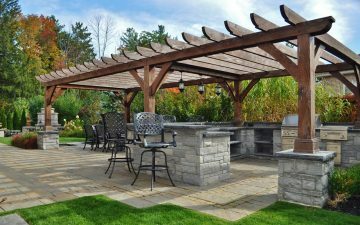 Oversized wood pergola, bar and a fabulous outdoor kitchen are perfect for entertaining on those lazy summer afternoons. 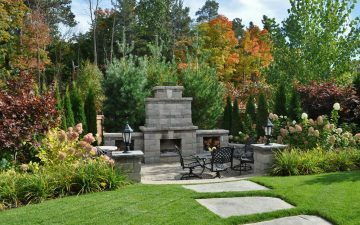 The yard space was divided into zones or areas by creative use of natural stone retaining walls, oversized flagstone slabs stepping stones and beautiful plant beds. 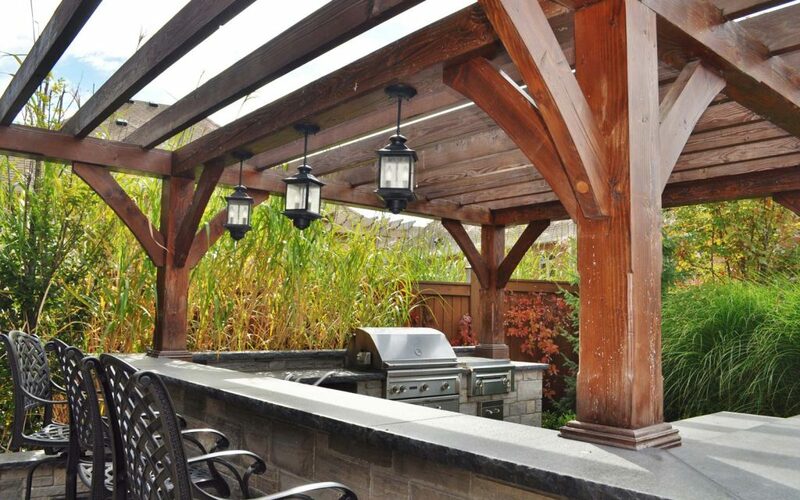 Combination of modern and naturalistic / rustic styles reflected personal preferences of the client. Separate fireplace area was designed in round shape and used existing grade change to create a sunken patio with retaining / seating walls around. 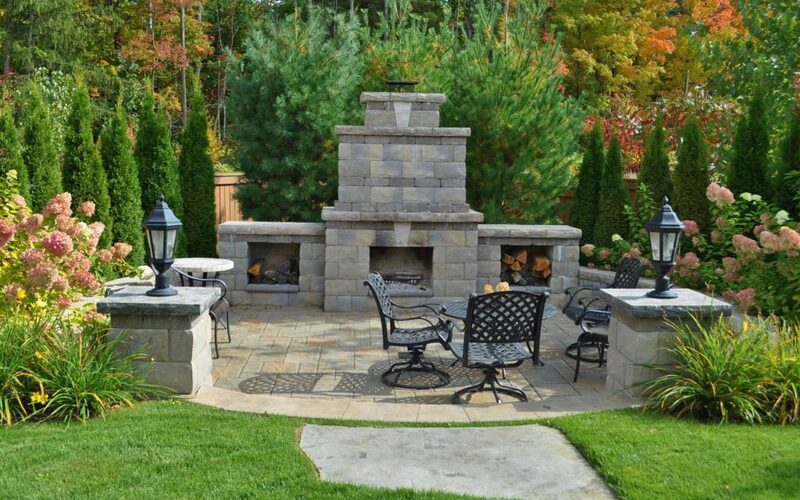 Outdoor fireplace fills the family outdoor living with the warmth and flickering glow. 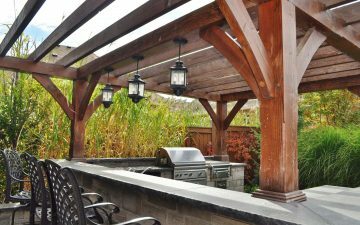 Enjoy those chilly evenings outdoors in comfort and style, extending the life of your outdoor spaces, well into the cooler months. Share a beautiful flickering fire and fresh air year round while enjoying luxury and beauty.